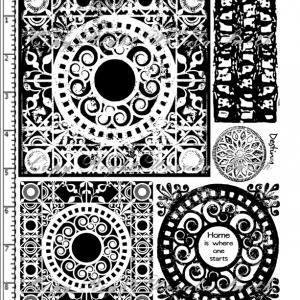 This red rubber stamp set contains a set of images that are sized for use on Artist Trading Cards ( ATCs). 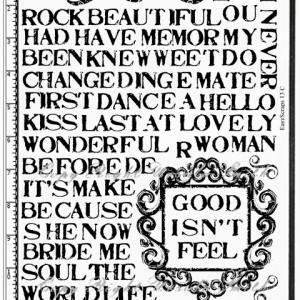 There are backgrounds, borders, a frame and other images and related words and phrases. 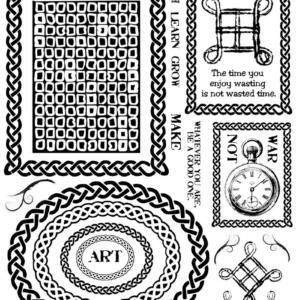 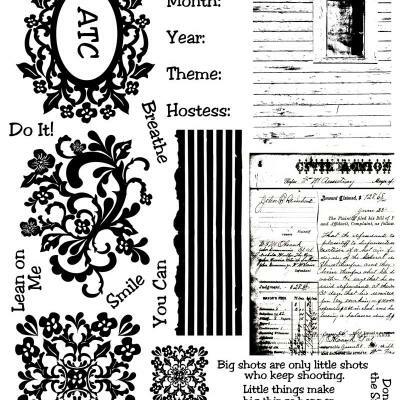 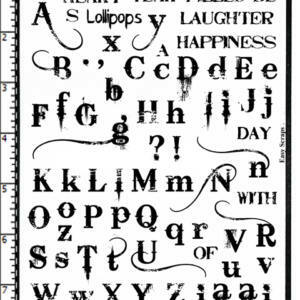 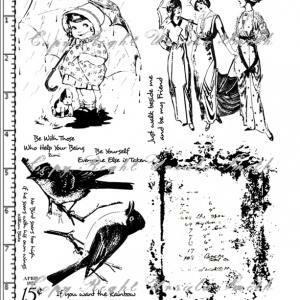 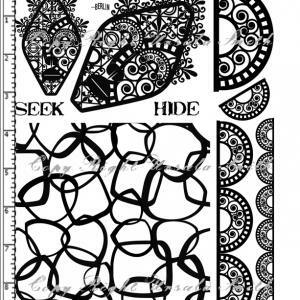 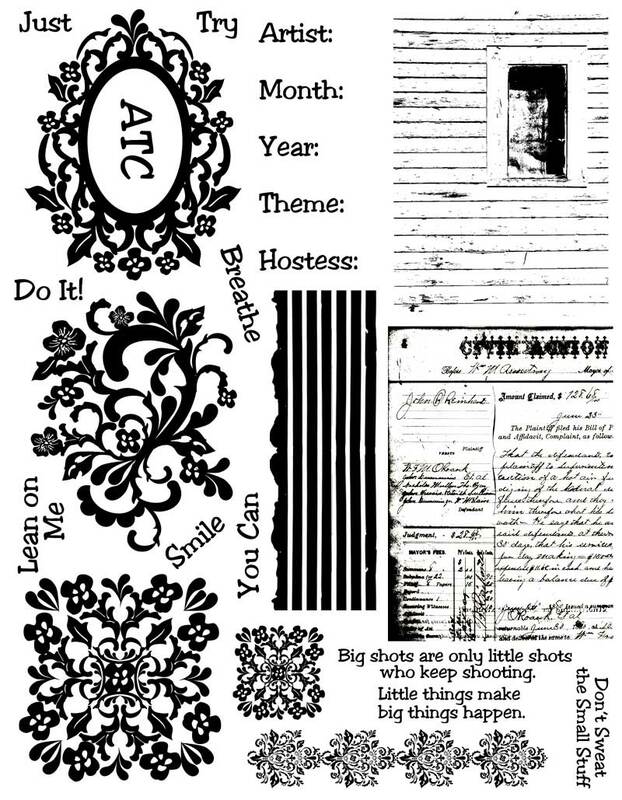 These are great for ATCs, but you could also use these in your all occasion cards, journals, scrapbooks and other mixed media projects.